Is Brett Kavanaugh lying? | Pulitzer Prize Winner Cynthia Tucker | Journalist. Professor. Progressive. If you wonder why Christine Blasey Ford resisted coming forward for decades — why she waited so long to tell the world her claim that Brett Kavanaugh once sexually assaulted her — just ask Anita Hill. She could certainly tell you. Hill’s life was forever changed by her allegation that Clarence Thomas, then a nominee for the U.S. Supreme Court, had made frequent lewd comments to her while her supervisor at the Equal Employment Opportunity Commission. Testifying before the Senate Judiciary Committee, Hill gave a compelling account of a man who used his position to sexually harass her. The committee, comprising middle-aged men, peppered her with hostile questions and then discounted her testimony. And they were hardly the only ones. Hill became a daily punching bag for the big names of the rightwing media axis, who questioned her motives, assaulted her character, impugned her integrity. Republicans in the Oklahoma Legislature threatened to get her fired from her job as a law professor at the University of Oklahoma. Writer David Brock, then a dedicated right-winger, penned a hatchet job, “The Real Anita Hill,” in which he infamously called her “a little bit nutty and a little bit slutty.” (He has since recanted that account.) She got death threats. 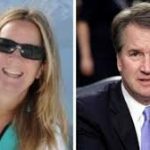 There are many differences between Hill’s allegations and the charges made by Ford, a California college professor. But there is one way in which the episodes are very much alike: the atmosphere in which they were revealed. Despite the #MeToo movement, the cultural landscape has not changed as much as it should have since Thomas’ 1991 confirmation hearings. Women who make controversial accusations against powerful men are treated like pariahs. Blasey, like Hill, has received death threats. She and her family have moved out of their home. 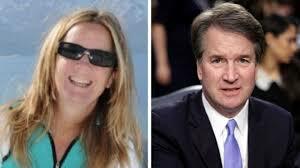 According to her attorneys, Ford’s email account has been hacked and she has been impersonated online. The GOP-led Senate Judiciary Committee, meanwhile, is working overtime to grease the skids for Kavanaugh’s confirmation, short-circuiting a process that demands a more thorough investigation. As they did with Thomas, conservatives are determined to get their man on the bench, no matter how tainted or unfit he may be. That may not be true. Kavanaugh has vigorously denied the allegation. Still, Ford’s account deserves to be thoroughly investigated, enough though the incident occurred when he was in high school. In her telling, Kavanaugh was 17. That’s no “youthful indiscretion.” Had he been arrested for the assault at the time, he was old enough to be charged as an adult; there is no excuse for that behavior. The Senate Judiciary Committee, though, is racing forward to shove Kavanaugh onto the bench of the nation’s highest court.